The slow but steady legalization of medical and recreational marijuana in states like California has created a host of complications in the interactions between federal and state law. Despite California, Colorado, and other states fully decriminalizing marijuana, marijuana remains a Schedule I controlled substance under federal law, illegal even for medicinal usage. 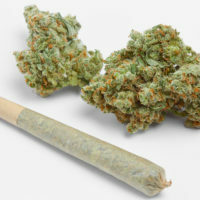 Federally-insured banks, for example, are still unsure of whether they can remain protected by the FDIC if they service clients that produce or sell marijuana. Likewise, the bankruptcy laws fall under federal purview, and debtors involved in the marijuana industry may find themselves in the unfortunate position of performing what they consider a lawful service pursuant to state law but which either opens them to prosecution or at least strips them of protection under federal law. A federal court recently addressed whether a business tangentially involved in the (legal under state law) marijuana industry can still receive federal bankruptcy protection. A federal court recently addressed the interaction of the seemingly at-odds legal schemes. A case titled In re Way to Grow Inc., et al (“WTG”) concerned a debtor whose business involved selling “equipment for indoor hydroponic and gardening-related supplies” in Colorado. Like California, Colorado has legalized the recreational use and sale of marijuana, with certain restrictions like those relating to the production and sale of alcoholic beverages. The majority of WTG’s customers were part of Colorado’s legal marijuana industry, although they did have customers in other industries as well. One of their secured creditors sought to dismiss WTG’s bankruptcy on the grounds that the debtor was involved in illegal activity. Debtors involved in illegal activities are not entitled to relief under the federal bankruptcy regime. The bankruptcy court agreed with the creditor that the bankruptcy should be dismissed. The debtor sold equipment which they knew would be used for activities that were still treated as illegal under federal law. The federal Controlled Substances Act renders it illegal to “manufacture … any equipment … which may be used to manufacture a controlled substance.” The court found there was no feasible alternative, such as ordering the debtor to stop servicing the marijuana industry, that would allow them to stay in bankruptcy court. The federal district court in Colorado, on appeal from the bankruptcy court, agreed. A business that performs an activity illegal under federal law, even if legal under state law, does not benefit from the protection of the federal bankruptcy scheme. The court specifically noted that “[b]ut for the marijuana issue, this would be a relatively run-of-the-mill Chapter 11 proceeding.” Small businesses involved in the marijuana industry should consult experienced and dedicated business and bankruptcy attorneys to determine their best options for dealing with any debt-related issues.